All this weekends fixtures are in the South of Scotland League with two of the matches being played on Friday evening. On Friday Lochmaben and neighbours Mid-Annandale meet at Lockerbie for a contest that could go either way while at Blairmount Park Newton Stewart entertain St Cuthbert Wanderers with the visitors slight favourites but with home advantage this is a good opportunity for a young Newton side to make their mark. The league action continues on Saturday with league leaders Wigtown and Bladnoch travelling to Moffat to play Upper Annandale for a match the visitors will be strong favourites to take the three points from to keep up their very good start to the season. Abbey Vale entertain Creetown at New Abbey for a contest that looks very even and one where home advantage could possibly be the decider although the Ferrytoon side are going well at the moment and are more than capable pf adding another three points to their seasons tally. Heston Rovers play hosts to Threave Rovers with the Castle Douglas side the more likelier of the two to take the three points while Lochar Thistle will have their work cut out to take anything from the visit of Edusport Academy. 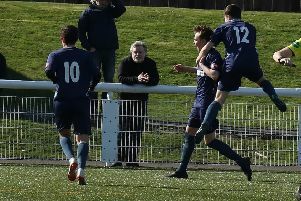 Finally Nithsdale Wanderers play bottom side Dumfries YMCA for the second time in a week and there is no reason to suggest that anything but another emphatic victory for the home side will be the outcome from this encounter.